South Korea decided to change its position regarding crypto-assets since the G20 is ready to acknowledge these as financial assets. Recently, the G20 decided to recognize cryptocurrencies as financial assets by applying the standards of the Financial Action Task Force (FATF). The FATF was initially founded in 1989 by the G7, at the time, with the purpose of combating money laundering. The country has had very strict policies on cryptocurrencies and ICOs. Korea famously banned all ICOs and enforced mandatory verification for crypto trades, last year. The Korea Times speculates the G20’s stance on cryptocurrencies might “be a major headache” for the countries regulators. Since Korea classified cryptocurrencies as non-financial products or assets, the country might have to change their narrative to meet world standards. “It’s almost certain that cryptocurrencies will be classified as assets and the main issue will be centered on how to regulate them properly under the unified frame that will be agreed upon between G20 nations. Given the current stance, this isn’t good, but we will step up efforts to improve things,” Korea’s Financial Supervisory Service (FSS) said. The FSS believes crypto-assets will be classified as financial assets, in the end. As of now, the FSS worries about the contradiction in the classification of crypto-assets between Korea and the G20. The FSS also stated they will go easier on cryptocurrencies, ever since the government decided to look at the positive aspects of it. Governor Yoon Suk-heun is expected to issue an update on the matter very soon. Korea’s National Tax Agency is collaborating with the country’s Ministry of Finance to secure taxation data using its virtual taxation task force. Regardless, cryptocurrencies are still tax-free, since trading isn’t legally recognized. Only operators are required to pay income taxes, while citizens can profit freely. Back in January, the Bank of Korea (BOK) — their central bank — started a task force to study the implications of launching a Central Bank Digital Currency. Their report should be disclosed by the end of June, according to a BOK representative. “The BOK’s recommendation regarding cryptocurrencies will be released by the end of June, at the earliest,” the BOK official said on May 14. 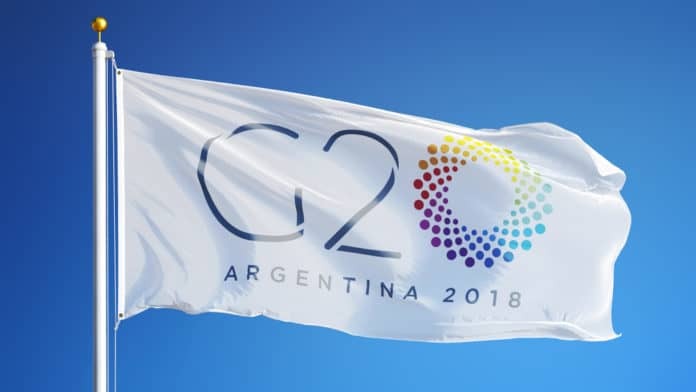 In their comunniqué, the G20 acknowledges the technological importance behind crypto-assets and their potential to become a part of the world’s economy. Nonetheless, the G20 also recognizes the risks involved with cryptocurrencies — from tax evasion to money laundering, consumer protection, and terrorist financing. For that reason, the G20 called upon the FATF to monitor cryptocurrencies. The FATF is instructed to apply their standards to crypto-assets, whenever applicable. They are expected to review their standards in regards to crypto products and spread their standards on a global level.